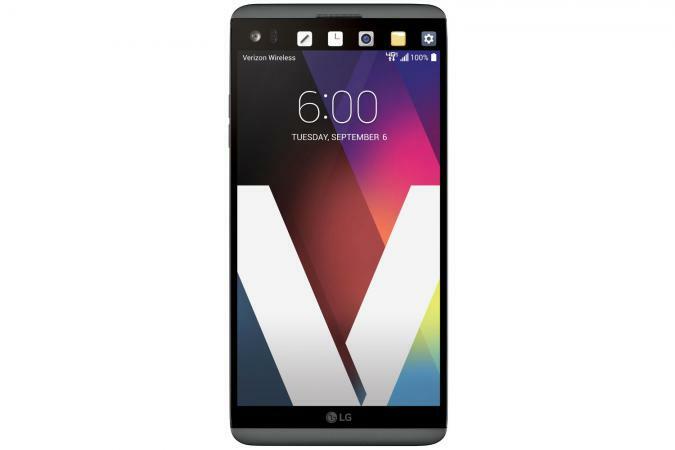 Verizon Wireless offers the latest brands and models of cell phones and smartphones. 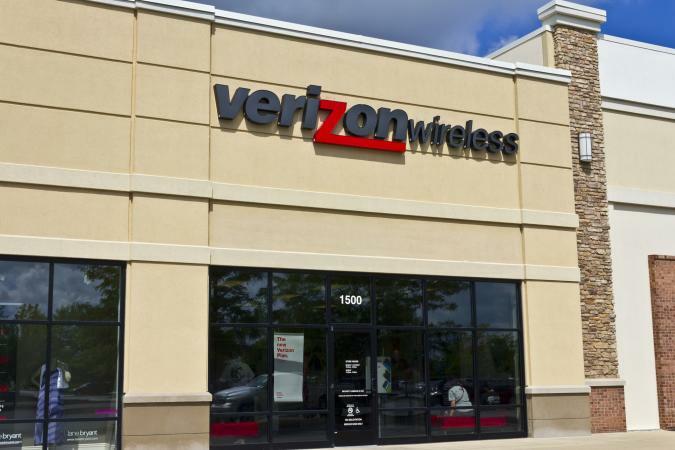 Due to the quality of service, coverage areas and large selection of phones, Verizon is one of the most popular providers of cellular service in the United States. You can browse the large selection of phones either online or at a retail store to find the one that best matches your personal needs and style. Smartphones are a popular option, offering more functionality than a standard mobile phone and allowing users to surf the web, check email and access tons of apps that are both useful and entertaining. iPhone 7: Similar in design to that of its predecessor (iPhone 6S), the iPhone 7 sports some new and interesting features. It no longer has the widely accustomed headphone jack. It has been designed to be water and splash resistant along with the inclusion of stereo speakers for better sound quality. Also, a better camera system has been implemented that allows the user to take higher quality photos, especially in low light situations. Last, the home button has been upgraded with a haptic feedback system. 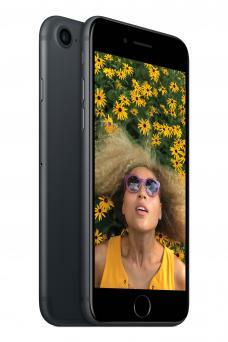 iPhone 7 Plus: For those wanting a larger version of the iPhone 7, the iPhone 7 Plus includes many of the same features as the iPhone 7, plus more. For example, it has a much better camera system sporting dual 12MP cameras. One features a telephoto lens, while the other has a standard wide-angle lens. This provides 2x optical zoom, plus digital zoom up to 10x. The Plus model also has a larger display size of 5.5 inches diagonally compared to that of the iPhone 7's display size of 4.7 inches diagonally. Galaxy S7: Boasting an IP68 rating, the Galaxy S7 can withstand dust and water. Its fast wireless charging provides an easy and convenient way to charge the device quickly. Being able to expand its memory from its stock 32GB memory to 256GB memory with a microSD card means you no longer have to delete precious or important photos to make room for more apps. Also, its 5.1-inch Quad HD Super AMOLED display with 577 ppi makes for some amazing gaming and video experiences on the go. Galaxy S7 Edge: Sporting similar features to that of its edge-free counterpart, the Galaxy S7 Edge has a different and unique hardware design. The dual curved edge design allows the display to encompass the left and right sides of the smartphone to allow for a more functional experience. For example, it allows the user to have quick access to their frequently used commands thanks to the Task Edge feature. Pixel: Google, in trying to make a more substantial imprint in the smartphone market, released their smartphone called Pixel. The Google Pixel comes with a 5-inch full HD AMOLED display with a memory capacity of either 32GB or 128GB. Integrated is a 2,770mAh battery and a 12.3MP camera. The camera will allow for some incredible low-light shots with great crisp picture fidelity. Plus, the fact that it comes with unlimited picture and video storage via Google Photos means never having to miss capturing a moment or deleting precious moments to make room for others. 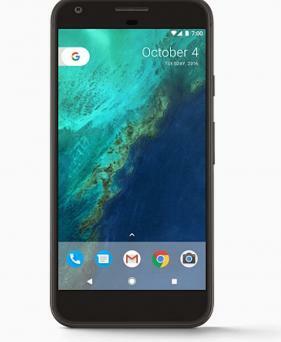 Pixel XL: A larger version of the Pixel, the Pixel XL brings the same design as the Pixel, but with "larger" improvements in both battery and display size. It has a 3,450mAh battery that will provide about 23 days of standby time and about 27 hours of usage time. Aside from the larger and higher resolution 5.5-inch WQHD AMOLED display, the Pixel XL is very similar from the standard Pixel, including the unique Google Assistant feature in Android 7.1. Moto Z Droid: Very slim, sleek, and lightweight, the Moto Z Droid introduces a modular system called Moto Mods. You can attach accessories (mods) to the back of the smartphone to expand functionality. There are Moto Mods to add stereo speakers, extend battery life, and even add a projector. 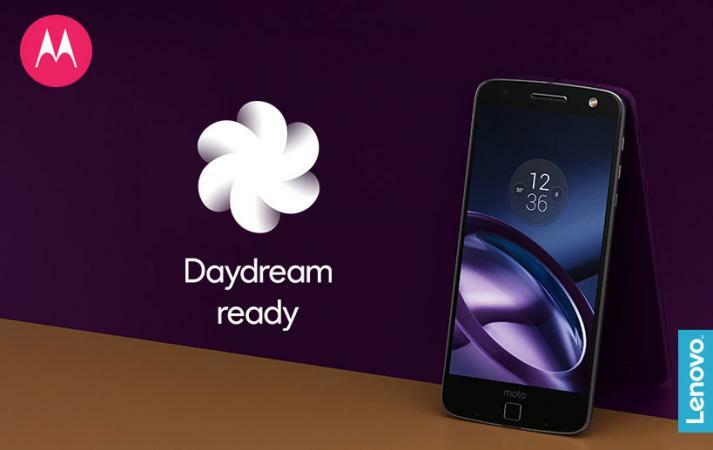 In addition to the 5.5-inch Quad HD AMOLED display, the Moto Z Droid also comes with a Qualcomm Snapdragon 820 processor, a 13MP camera, and a front facing 5MP camera for excellent selfies. Moto Z Force Droid: Much like the aforementioned larger versions of the standard smartphones, the Moto Z Force Droid follows that tradition, since it borrows greatly from the Moto Z Droid while adding some enhancements. Instead of the 13MP camera that the Moto Z Droid has, the Moto Z Force Droid has a whopping 21MP camera. It has a larger 3,500mAh battery, and the display has been fitted with Moto ShatterShield to prevent shattering and cracking. V20: The LG V20 focuses a great deal on audio and video performance, integrating Hi-Fi Quad DAC (digital to analog converter) playback. It also has been fitted with three AOP (acoustic overload point) microphones to allow audio to be recorded at higher quality and wider dynamic frequency ranges. A 16MP rear and 5MP front facing camera have been implemented into the V20. The memory can be expanded to help support up to 2TB of additional storage for users who need the extra space. One of the biggest reasons why someone would consider buying a refurbished phone to use with Verizon is that the refurbished unit is typically a fair bit cheaper than if the same phone were purchased new. Since it has been refurbished, the phone has typically been tested to ensure it is fully functional, unlike untested used phones that may be sold through online classifieds and other marketplaces. Refurbished phones will come in varying levels of condition, and they may show signs of wear. The battery may not hold as much of a charge as a new phone either. When buying refurbished phones, it is recommended to only buy from reputable dealers. Verizon Wireless has its own Certified Pre-Owned Devices (CPOD) program for selling refurbished cell phones and other mobile devices. All pre-owned devices sold through this program must pass a 100+ point quality check. All purchases come with a 90-day warranty (starting from the date of purchase). All phones will come with the battery, a wall charger, and the user guide. Newegg.com has a section on its website for selling refurbished Verizon cell phones. As of November 2016, the Apple iPhone dominates the listings (iPhone 4, 4S, 5c, and 5S), with the noted exception of the Samsung Galaxy Note Edge. Prices typically range from $60 to $400 depending on the quality and brand of the mobile phone. Most (but not all) listings offer free shipping. Amazon.com lists several refurbished cell phones from multiple sellers. They sell basic cell phones to more advanced phones like the popular Samsung Galaxy and Apple smartphones. Some purchases are also eligible for the Amazon Prime program for free two-day shipping. Overstock has a few refurbished smartphones up for sale on their website. They mostly sell Samsung devices, such as the Galaxy S4, S6, S6 Edge, and Note 4. Prices for such refurbished cell phones typically range from $100 to $400. Best Buy is also on the bandwagon when it comes to selling refurbished phones. They have an abundance of Verizon specific phones, although they are primarily Samsung and Apple. 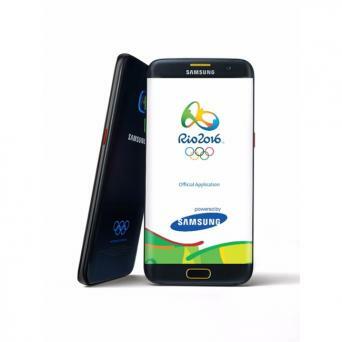 They offer just about every latest version there is for both Samsung and Apple, including a range of memory capacities. Gazelle, just like Best Buy, sells just about every recent version of both Samsung and Apple mobile phones. They often have sales on their Certified Used mobile phones. Their mobile phones, before they are listed for sale on the website, are processed through a 30-point quality inspection test. They have a 30-day return policy on all of their mobile phones. To learn more about Verizon cell phones or to see a model in person, visit a local retail location or check out the Verizon Wireless website. In addition to checking out phones, you will be able to explore the service plans offered on each phone as well as any current specials or promotions. Keep in mind that the selection of phones and accessories offered online may be different from what is carried in the store.